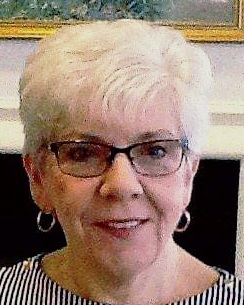 Susan G. (Boido) Guerrin, 71, passed away Sunday April 14, 2019 at Mt. St. Vincent Care Center. Born in Springfield, November 16, 1947 she was the daughter of Arnold Boido and the late Alda (Tassinari) Boido who passed away in January of this year. Susan was a graduate of West Springfield High School and worked at the Louis and Clark Medical Supply in Springfield and Footit in West Springfield. She was a communicant of the former St. Ann’s Church and was an avid traveler. Besides her father, Arnold, she leaves her beloved son, Adam R. of West Springfield, her loving brother, Thomas Boido and his wife Lynn of Southampton and their son Matthew. She was predeceased by her son, Michael who died in 1994. Calling hours will be held Monday, April 22, 2019 from 9:30AM-11AM at the TOOMEY-O’BRIEN FUNERAL HOME, 1043 Westfield St., West Springfield followed by a Liturgy of Christian Burial at 11:30AM at St. Thomas Church. Burial will follow in St. Thomas Cemetery. In lieu of flowers, donations may be made to a charity of one’s choice. There's still time to send flowers to the Mass of Christian Burial at the St. Thomas the Apostle Church at 11:30 AM on April 22, 2019.